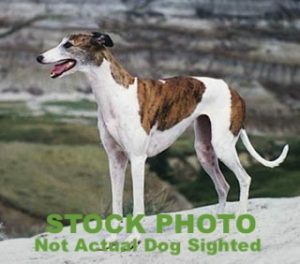 Additional Notes: A greyhound (white with brindle patches) was seen around the Seaview Park this morning. We don’t know if it’s male or female, whether there is a collar or tags. None of our members (GPAC – Greyhound Pets of Atlantc Canada) have reported their dog missing. This was a couple of hours ago, so the dog may be home now. If folks could keep and eye out for him/her and call if there are any sightings. Thank you.